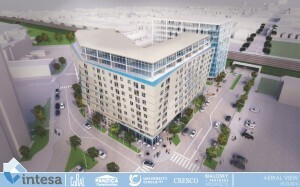 Panzica Construction Company and The Coral Company are working together to build a large development on 2.2 acres off Mayfield Road, north of Circle Drive (University Circle area). 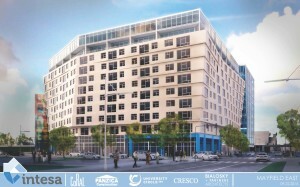 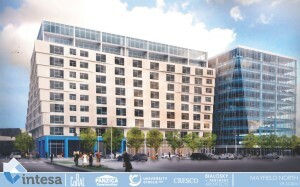 The development is named “Intesa” – an Italian word meaning “understanding” or “accord.” This will be one of the largest developments in University Circle. 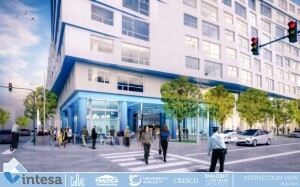 The cluster of buildings, ranging from 8 to 12 stories, will share a first floor, dedicated to retail, and a second floor, set aside for start-up companies and technology displays. 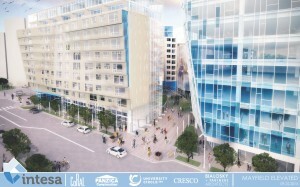 Intesa will include over 100,000 SF of offices, apartments, and student housing. 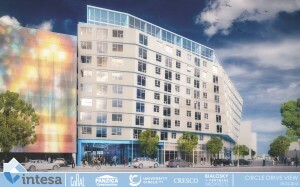 Plans and renderings for the building are underway.